Are you fostering bad eating habits in your children? 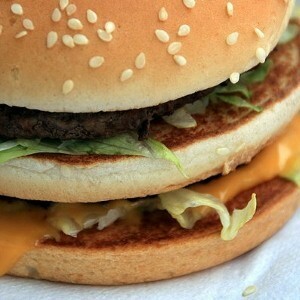 Home » Activities » Fathers Day » Are you fostering bad eating habits in your children? According to the Centers for Disease Control, nearly one-third of American children were obese in 2008. If you don't want your kids to be among them, you must begin fostering good eating habits in the home. Every parent occasionally has trouble convincing kids to eat their veggies, but with childhood obesity rates at an all-time high, making sure your children are getting adequate nutrition has never been more important. So how can you encourage healthy eating in your household? As a father, it's important that you set a good example. You can't expect your kids to make healthy eating decisions if you're chowing down on pizza and fast food every night – you need to practice what you preach. If you want your kids to eat their veggies, eat yours, too. Make it a house rule that each meal contains at least one serving of fruit and vegetables. Not only will you encourage healthy habits, you might even improve your own physique. Healthy eating habits must also extend beyond your own kitchen. Educate your children about basic nutrition so that they can make healthy choices when hanging out at friends' houses or eating in the school cafeteria. Before they head off to classes for the day, make a point of sending them off with nutritious snacks, like sliced apples or baby carrots, in tow.